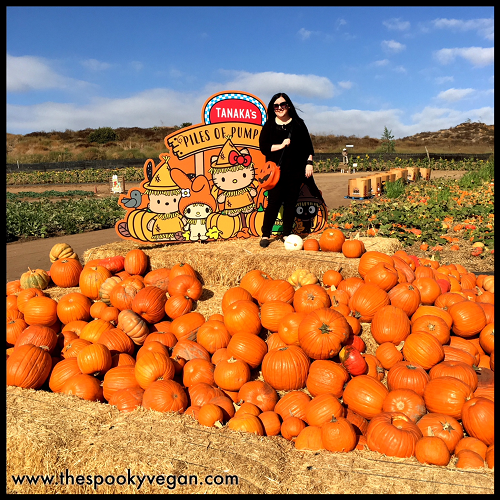 This was probably the Halloweeniest I've felt all season - this month has really been a struggle for me, spookies, and I just can't seem to capture that magical feeling of fall this year. 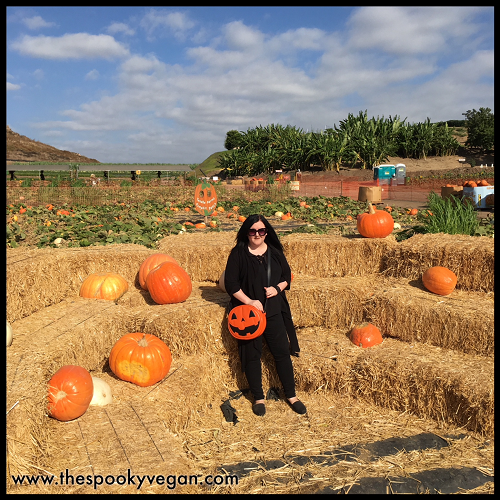 However, the weather was actually fall-like when I went, and not in the 80s or 90s like it has been the rest of the month. 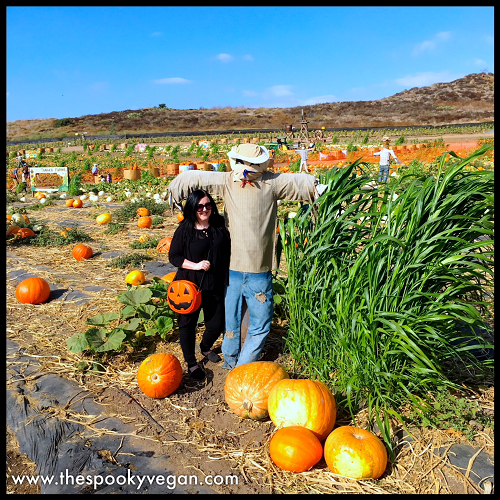 And pumpkin patches in general make me sooooo happy, so I just wanted to camp out forever in the middle of the patch! 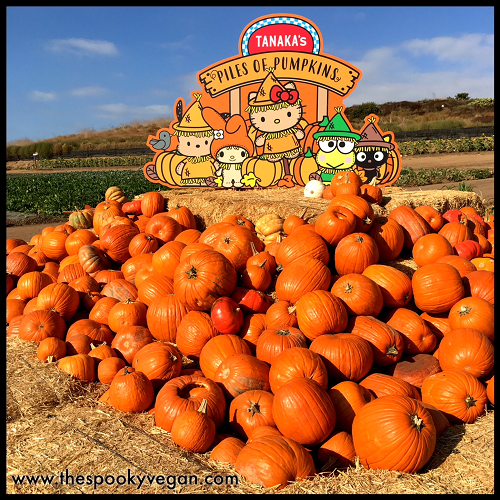 So many adorable photo ops! 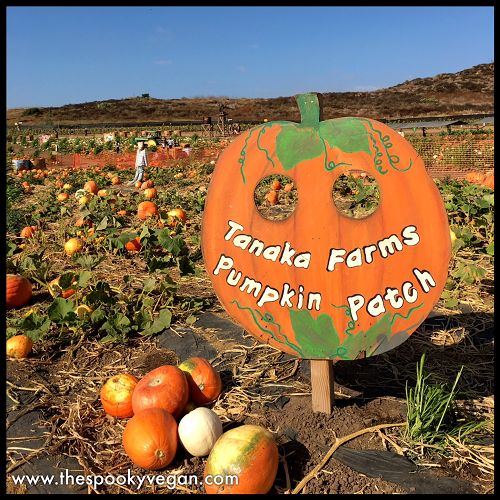 AKA this way to happiness! 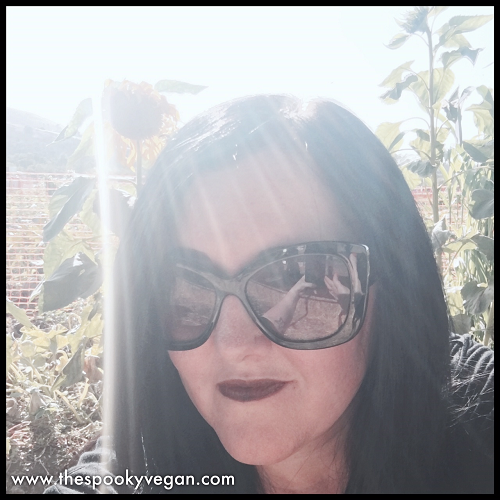 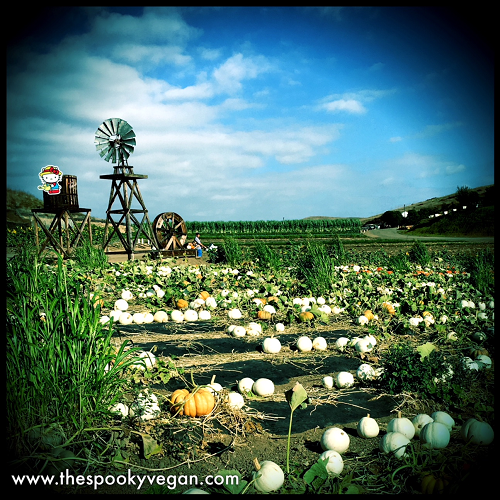 I love sunflowers in pumpkin patches! 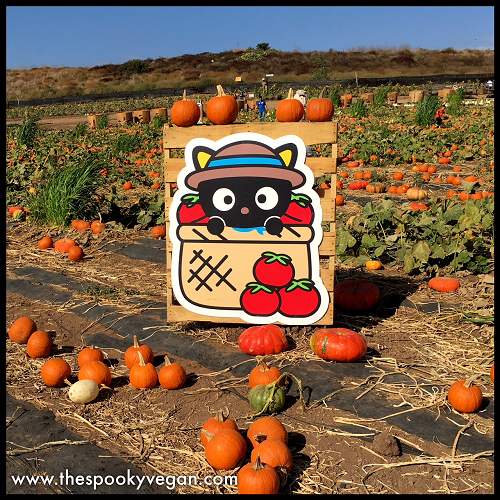 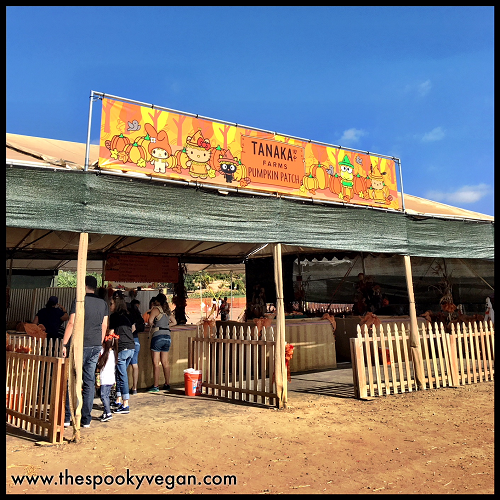 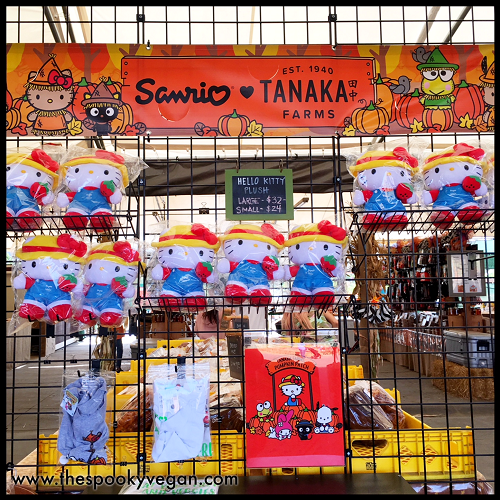 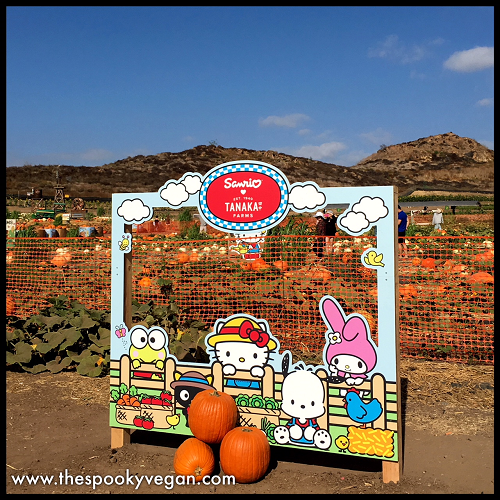 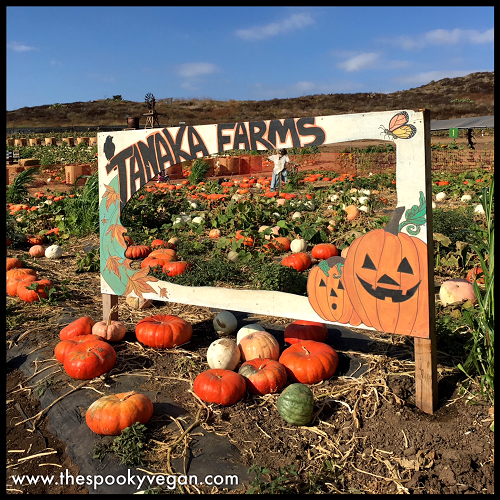 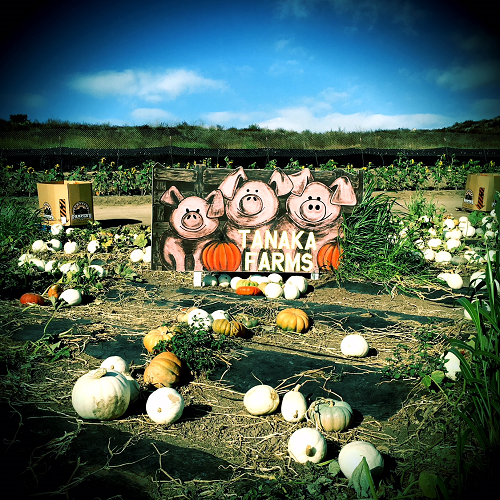 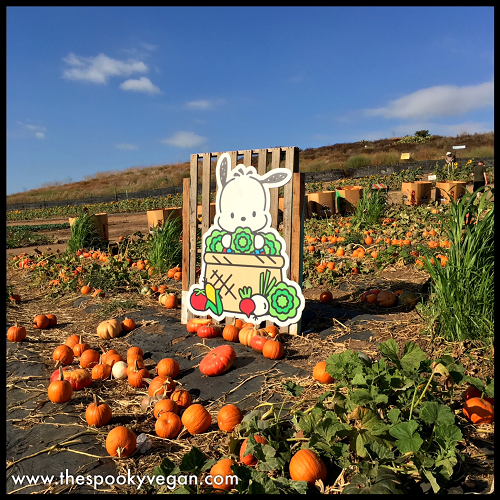 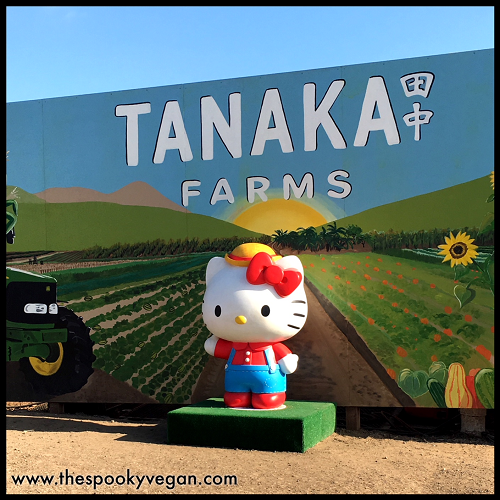 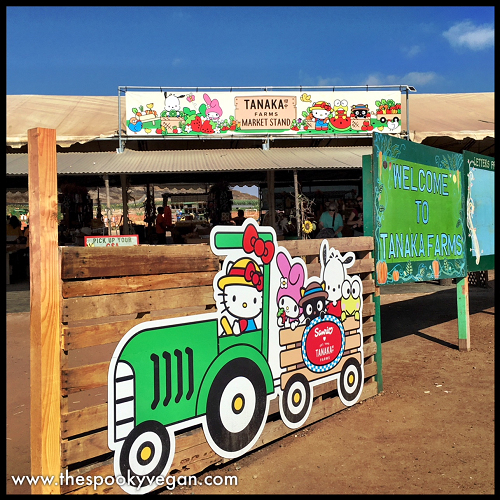 You can still visit the Sanrio Pumpkin Patch at Tanaka Farms until October 31st, but if you are planning on visiting on the weekends then you will need to go to their site and get a parking pass - this is due to the overwhelming popularity of the event (seriously, traffic has been backing up for miles on the weekends!). 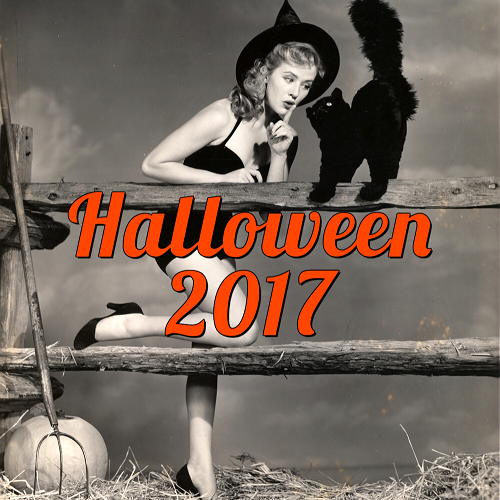 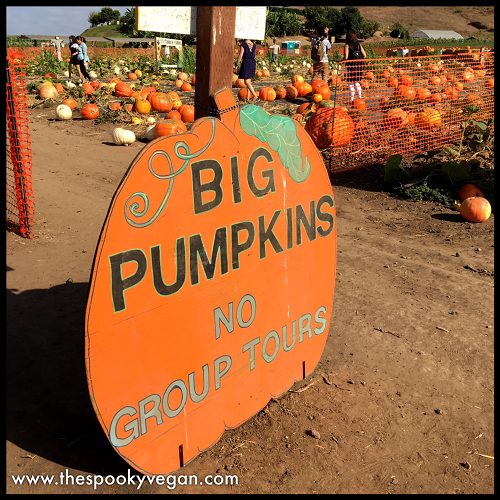 Or, try to visit on a weekday if possible, like we did, though it does get crowded the closer it gets to Halloween. 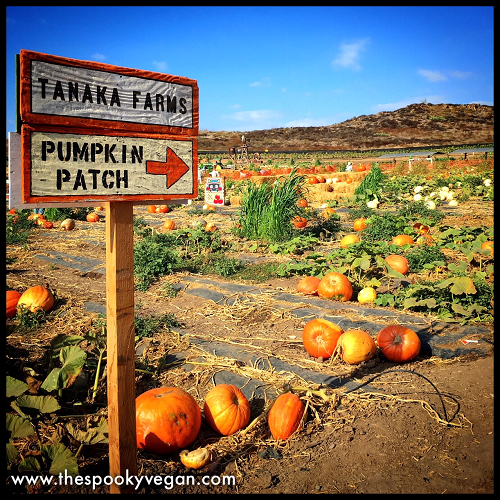 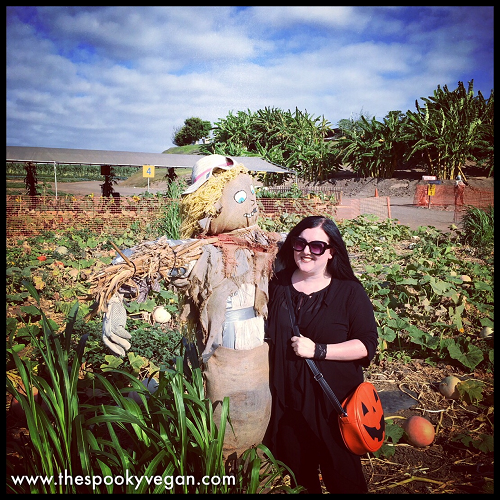 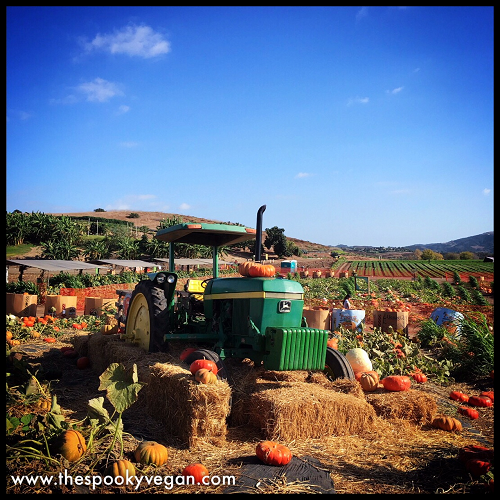 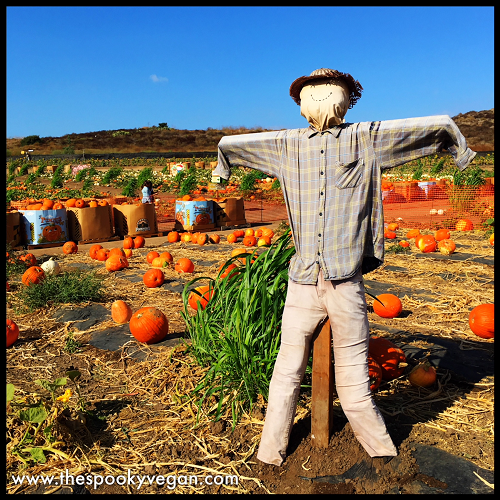 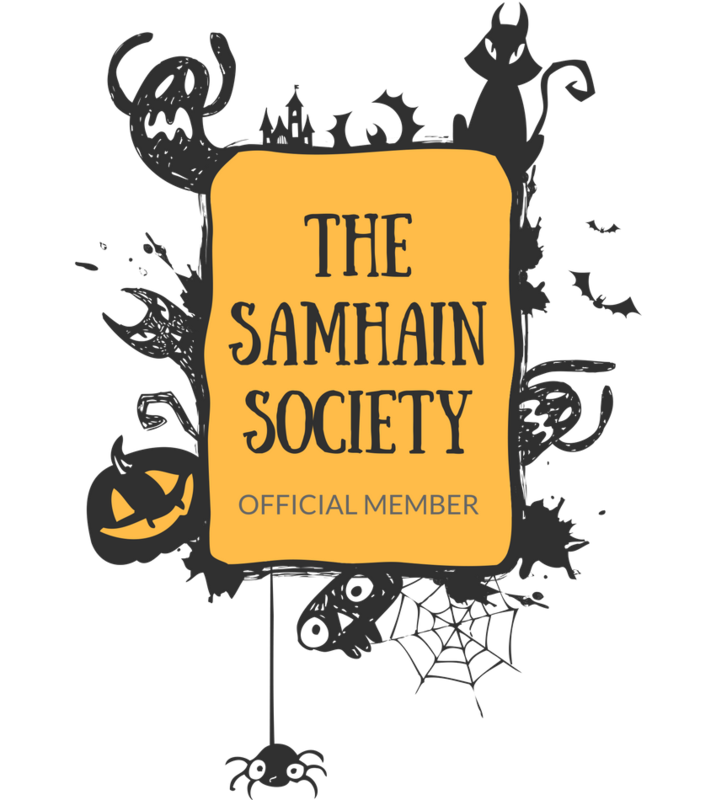 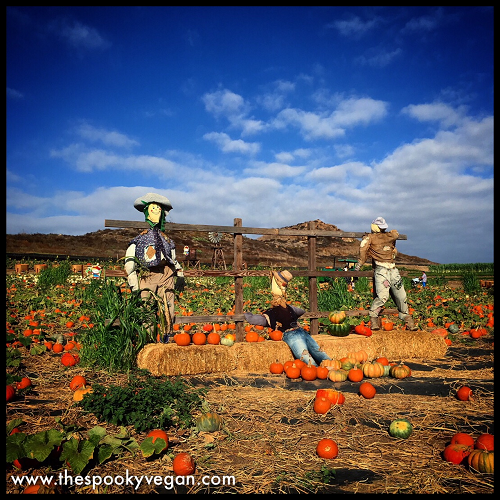 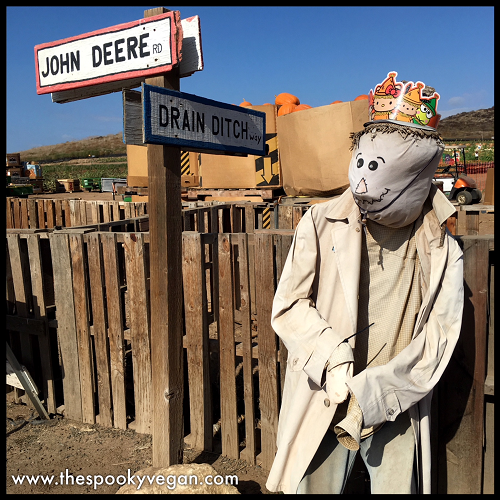 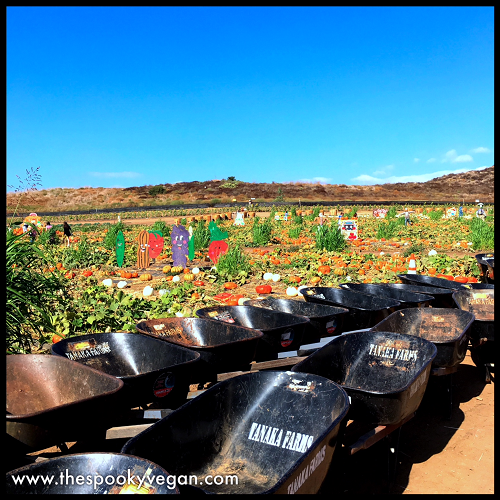 Have you been to your local pumpkin patch this season? 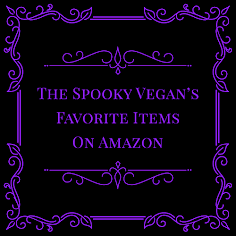 If so, tell me about it below! 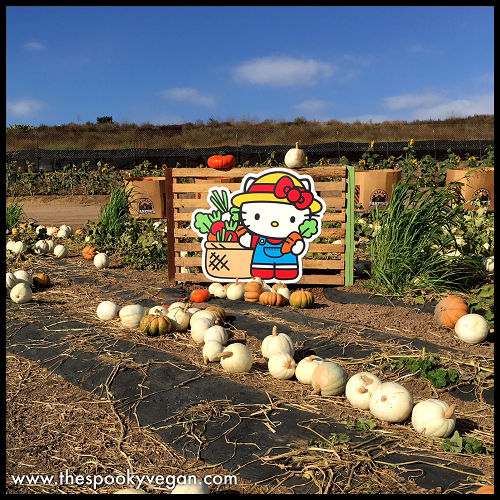 Pumpkins and Hello Kitty! 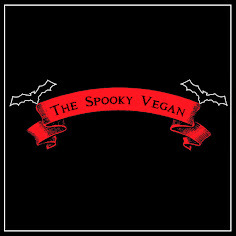 Awwww!